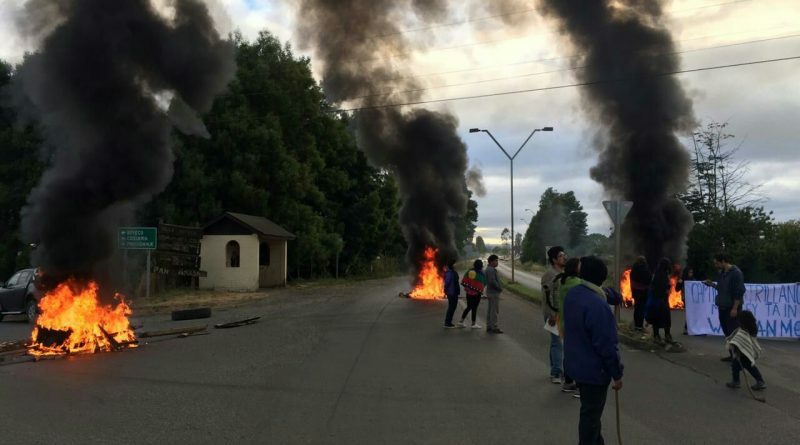 This communiqué comes from the autonomous Mapuche communities of Purén and expresses their solidarity and dedication to the ongoing Mapuche struggle after the death of Camilo Catrillanca. Originally published by Radio Kurruf. Translated by Voices in Movement. We energetically express our solidarity and support for the Catrillanca family against the cowardly assassination of our Weichafe and martyr Camilo Catrillanca. We demand the maximum rigor of the law be imposed upon the politicians responsible for this cruel assassination. This includes the Interior Minister Andrés Chadwik and Sebastián Piñera, as the Chilean police forces are responsible to them both. For the same reason, and in response to the atrocities committed by state terrorism, we demand the withdrawal of all established police forces in our Wallmapu territory. In the same way, we make clear that we will not cease our energetic resistance until we make clear with the state, through its current government, the usurpation of our Wallmapu territory and the genocide being carried out against our invincible Mapuche people. At the same time, we make clear and warn that we have undertaken the journey for FREE DETERMINATION and AUTONOMY of our invincible Mapuche people. Ten times we will win.